The glow of the Parthenon at night, the small pedestrian streets of Plaka, the beautiful parks and local performances are just a few of the romantic things to experience during a city break in Athens. Of course, celebrating Valentine’s Day makes those experiences even more lovely. Check out these top things to do to celebrate Valentine’s Day in Athens. With a nickname Neighborhood of the Gods, it’s no wonder that Plaka is one of the most-visited and most enchanting city districts in Athens. 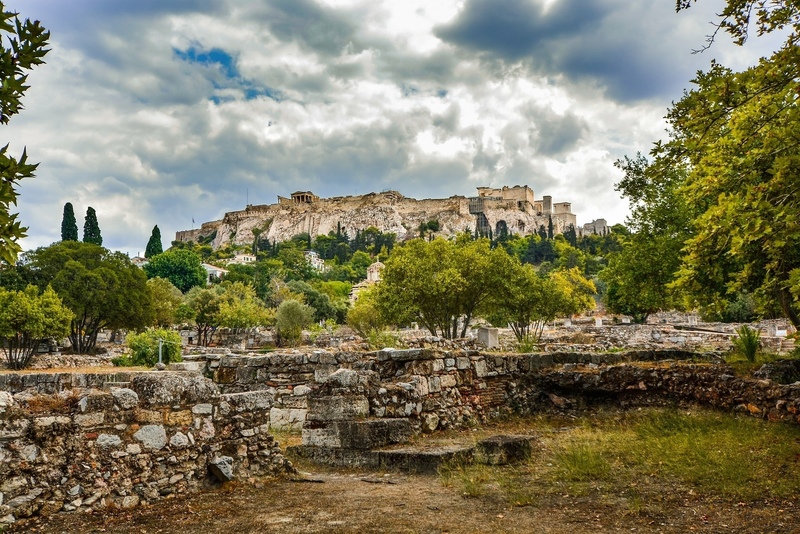 Plaka is also one of the oldest neighborhoods in the world, clustered around the northern and eastern slopes of the Acropolis where an atmospheric maze of streets can be explored. Here, you’ll find mom-and-pop shops, boutiques, neoclassical houses and along the way, the elegant archaeological sites of ancient Greece. 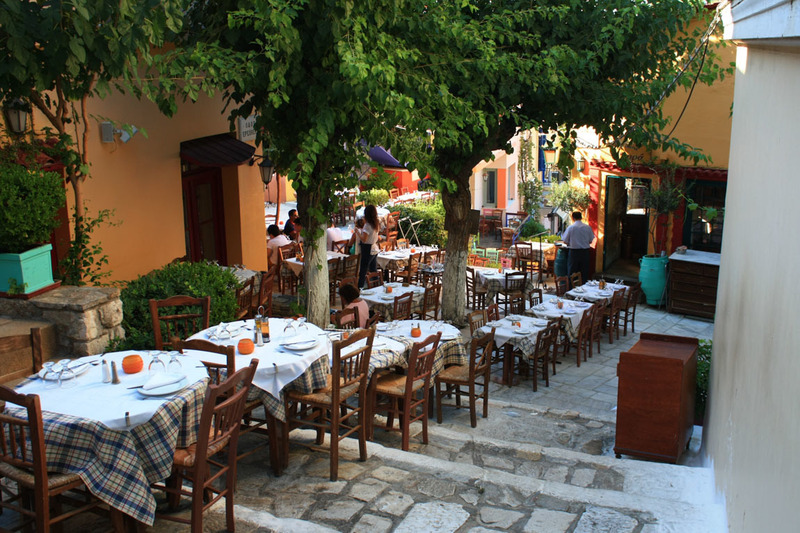 Simply stroll the streets of Plaka with your loved one and you can stop and sit to have a drink with a view, find a bench to watch people walk by, step into a corner taverna and eat a wonderful meal or simply enjoy being together in one of the prettiest districts in Athens. 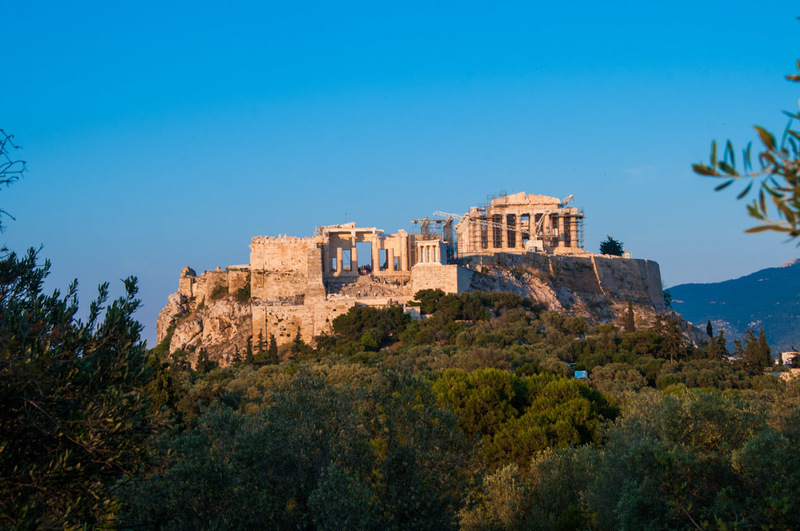 One of the most romantic things to do in Athens is experience the panoramic city views from the Acropolis. 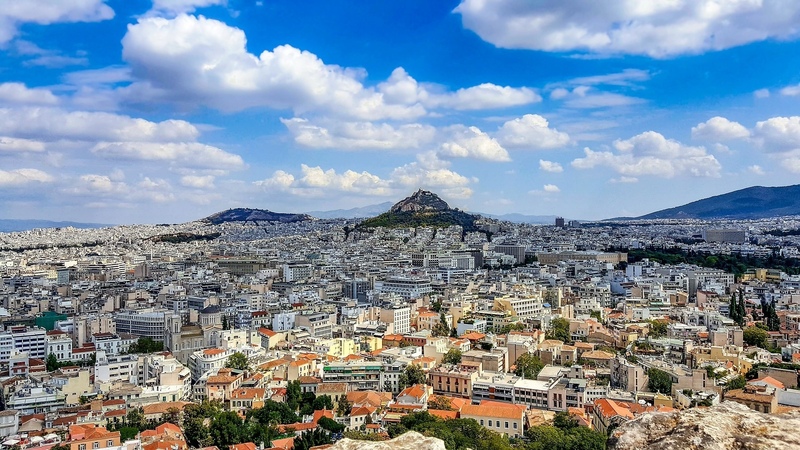 From the Acropolis monuments you can snap Instagram worthy photos of the Greek capital. The ancient sight will be open until 3:30 pm. When the sun will start to set around late afternoon, setting at 6:03 pm on February 14th, you can enjoy the view of the entire city from other walkable peaks in the city center including Mars Hill, Filoppapou Hill and the top of St. George Lycabettus. Another beautiful spot is at the “Pharos the Stavros Niarchos Foundation”. You can experience one of the top cultural centers of Europe and take in a panoramic view from the open-air balcony café area in the main building. You can’t go wrong with any of those vantage points. You and your loved one will enjoy a beautiful view of the Acropolis itself. 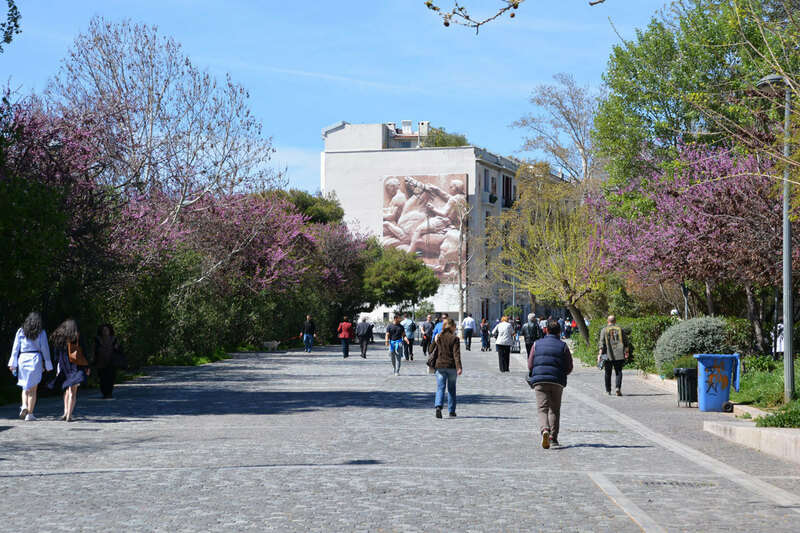 For the ultimate romantic stroll, be sure to walk Dionysiou Aeropagitou pedestrian way which is right around the corner from the Herodion Hotel. This street is completely closed to traffic so no matter what time of day you’ll find locals simply enjoying a lovely walk within close view of the Acropolis. You will likely bump into talented street artists, jewelry vendors and musicians too. An authentic local spa experience, called the hammam, is a must while in this corner of the world. Also known as the Turkish bath, the hammam is a type of wet steam bath that takes place in marbled rooms. 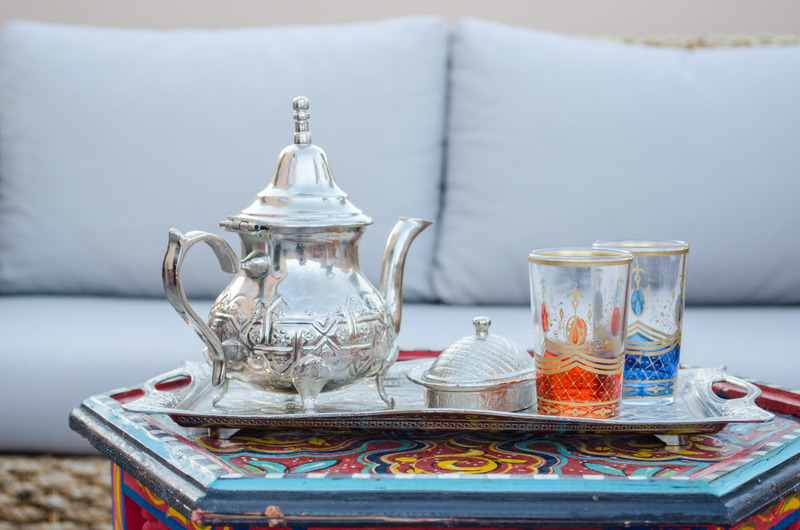 You can book a couples’ hammam and massage at atmospheric venues such as Al Hammam in Plaka. One of the most classic love stories of all times is none other than Romeo and Juliet. The Bolshoi Ballet’s recorded performance from Moscow will air on the big screen at Athens’ premier performance hall called the Megaron. 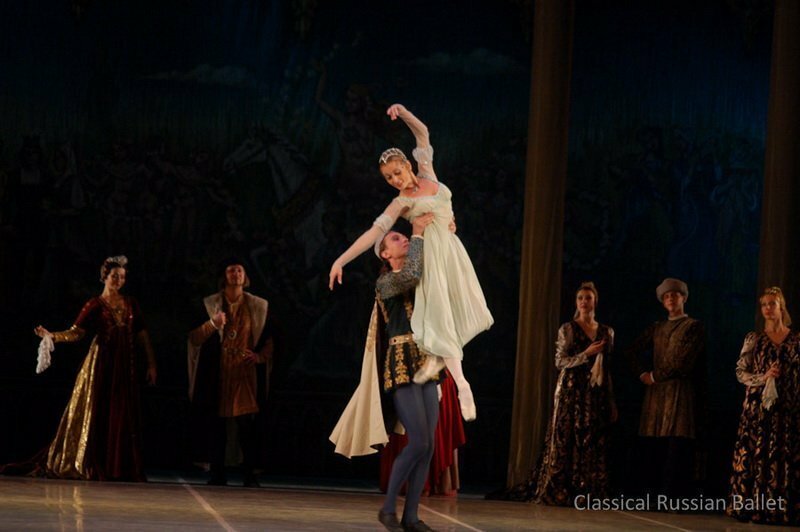 It’s the perfect opportunity to see one of the world’s finest ballet companies perform an interpretation of Shakespeare’s memorable tale of star-crossed lovers. For more information, visit the Megaron website. Greece is known for its decadent sweets and Valentine’s Day is the perfect excuse to indulge. Out of all the sweet delights out there, chocolate is the classic Valentine’s gift. 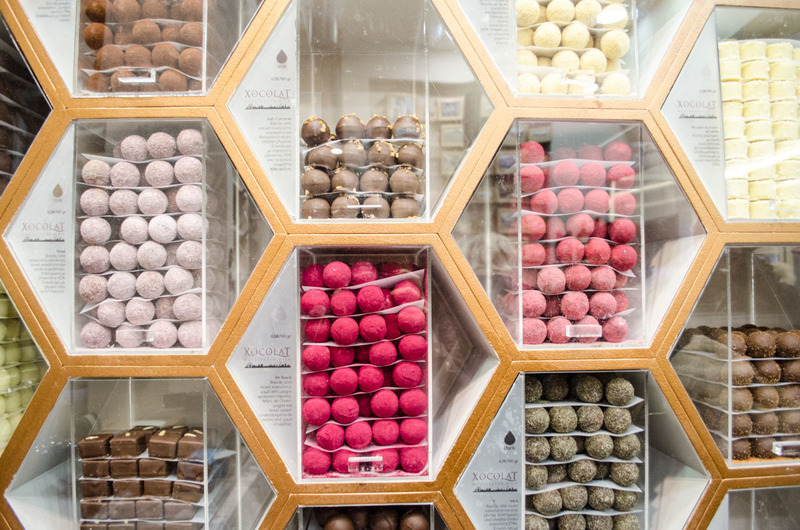 While in Athens, we highly recommend buying gourmet chocolates from Chocotopia. These handmade chocolates are presented in beautiful boxes. You can even book a fantastic food tour. Nothing says true love like learning how to make delicious handmade ice cream together with your loved one! No Valentine’s celebration is complete without a romantic dinner. 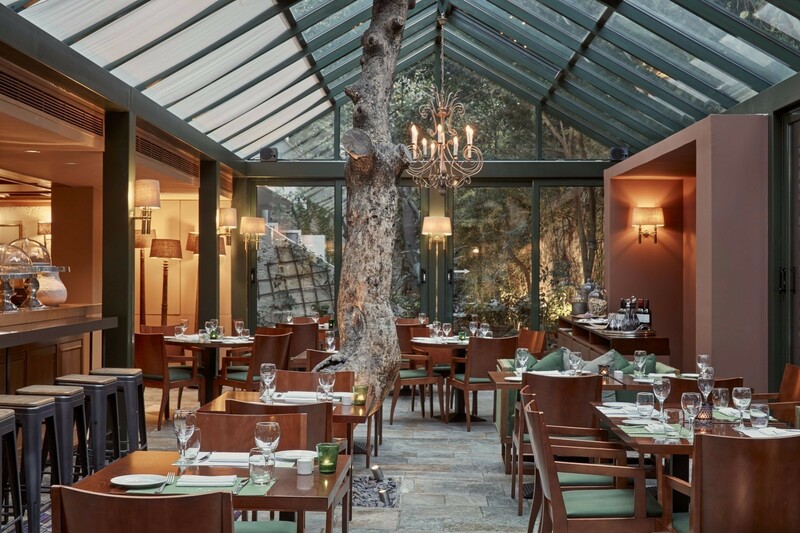 Since you will be traveling, you can opt for a wonderful romantic dinner at the Herodion’s acclaimed Atrium restaurant. Our unique, cozy city bistrot features beautifully set tables arranged in a glass walled atrium. You’ll experience find dining surrounded by lush greenery and under a view of the stars as seen from the Atrium’s glass ceiling. As for your gastronomic experience, our chefs have prepared a special Valentine’s Day menu featuring the local Greek products. Start out with an amuse-bouche, a foie gras lollipop with spicy rose chutney. The starter is a delightful scallop dish in pistachio crust with creamed red celery and herring roe. A cool herb salad with asparagus carpaccio and citrus hollandaise will follow. The main course is pork in spicy blackberry crust, beetroot cream and sweet potato chips.The memorable Valentine’s dessert this year is a crunchy meringue with lavender cream and forest fruits marinated in Greece’s famous Vinsanto wine. You can visit our website for more information about this romantic dining experience. If you are going to spend a romantic city break in Athens, it is necessary to book a romantic room with a view. 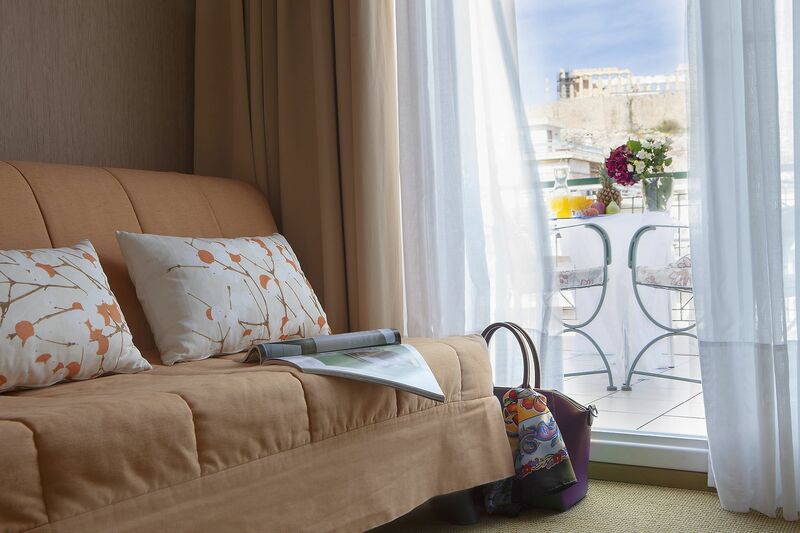 The Philippos’s rooms with a view offer an incredible vantage point of the Acropolis. At night, the illuminated monument will be a memorable sight to appreciate with your loved one. There’s currently a two-night Valentine’s Day getaway package available which includes a bottle of sparkling wine upon arrival, breakfast in bed, free Wi-Fi, late check-out (upon availability) and a discount on the Valentine’s Day dinner menu to be served at the Atrium Greek Bistrot located on the first floor of the hotel. For more information, click here. Have you ever spent a wonderful Valentine’s Day getaway in a beautiful European city like Athens?